Are you committed to a proper sleep regimen? Do you avoid certain foods and drinks that can mess with your sleep? Do you practice meditation and other breathing methods to help you unwind each night? Are you tired all the time? There are a variety of things you can do to improve your sleep every night. However, what happens when you do all of those things and you still wake up exhausted? This means you are not getting the restful hours of sleep you might imagine you are getting. In this case, you might be suffering from obstructive sleep apnea (OSA). Let’s take a look at why you might be tired all the time. Why does OSA make you more tired? Think about how you sleep. When sleeping, the muscles in the body relax. This includes the muscles in your airway. However, when the muscles in your airway relax, the narrower your airway is. And when the airway becomes narrow, the movement of air leads to a vibration, which often results in snoring. However, when the airway becomes so narrow that it is blocked, breathing can be obstructed causing the brain to wake you up–not just one time, but many times an hour–making you tired all the time. What are the common symptoms of sleep apnea? Episodes of waking up multiple times at night. Feeling irritable during the day. Persistent dry mouth when waking up. There are certain factors that can increase the risk of sleep apnea too. This includes excess weight, a larger neck circumference, use of alcohol, sedatives or tranquilizers, smoking and frequent nasal congestion. Aging can also be a factor in your sleep apnea. 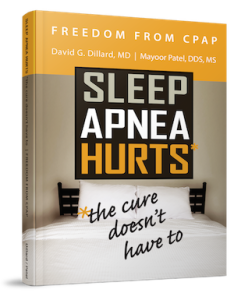 Contact Craniofacial Pain & Dental Sleep Center of Georgia to learn more about sleep apnea and to find out if you suffer from this condition.